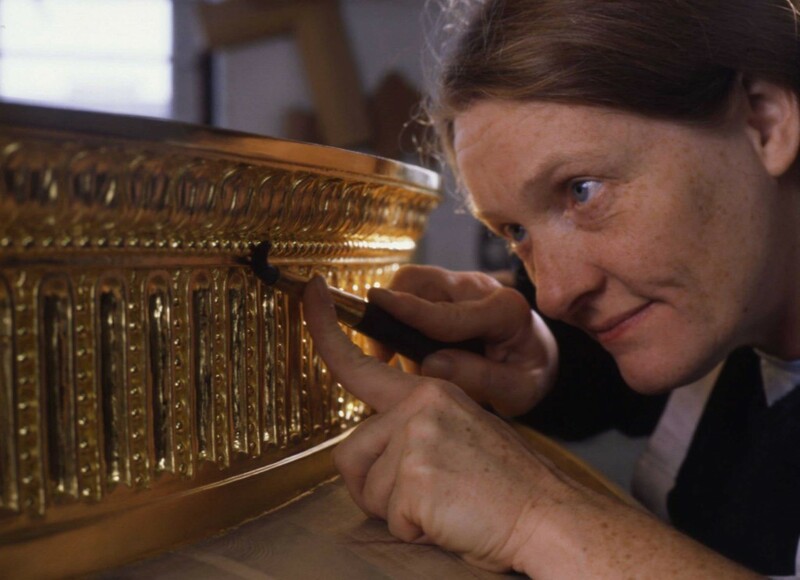 Our Housekeeping team are responsible for keeping the objects and displays in our collection looking their best, from careful dusting and polishing to high-level cleaning by scaffold. Roger Stark, is our Technical and Conservation Officer. Roger has been at Harewood for 19 years and has handled most of the items in the collection. Roger looks after all the clocks, moves and re-hangs Harewood’s famous painting collection and is our ‘go-to’ person for technical matters relating to the Collection. Jayne Greenall is our Head Housekeeper and has been here for 29 years and like Roger, knows every inch of the House. Rachel Curwen joined the team 3 years ago as Collections Care Assistant. Amy Farmer is the newest member of the Collections Care team and has been here a year.